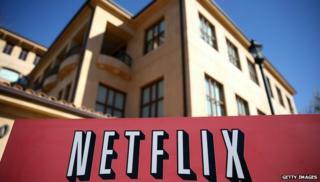 US telecommunications giant Verizon has issued Netflix with a "cease and desist" letter. The letter came after the streaming video service reportedly told consumers Verizon was behind slow connections. "There is no basis for Netflix to assert that issues with respect to playback... are attributable solely to the Verizon network," Verizon wrote. Netflix responded that the firm was trying to "provide more transparency" to consumers. "This is about consumers not getting what they paid for from their broadband provider," said Netflix. In March, Netflix chief executive Reed Hastings hit out against internet service providers (ISPs) such as Verizon for demanding a fee to maintain video quality. Nonetheless, in April, Neflix agreed to pay Verizon to establish a direct connection to its network to ensure content was delivered to users' homes. Verizon's letter came in response to media reports showing screenshots that Netflix users said they were shown in which a message blaming poor connections was attributed to Verizon. However, Verizon noted that Netflix chooses how it connects to internet service providers and said the blame for faulty streaming was due to Netflix. It said that Netflix's claims could damage its business. "The potential harm is broader than only the experience of a customer viewing Netflix content," wrote Verizon. "This could cause a customer to think any attempted viewing of video...would yield a similarly 'crowded' experience." Verizon added that it had recently inked a deal with Netflix to bring the firm's content onto its network, and hinted Netflix's behaviour could call future deals into question. It threatened legal action if Netflix did not stop displaying the message. In a blog post, Verizon wrote: "It is sad that Netflix is willing to deliberately mislead its customers so they can be used as pawns in business negotiations and regulatory proceedings." Net neutrality - should you care about it?